The Precambrian earth and the Paleozoic earth before Permian was a "puffy planet". Its density increased during the evolution of our solar system. What Wegener had recognized long time ago was finally accepted. Geoscientists found better explanations for the phenomena he had described. Ott Christoph Hilgenberg and S.W. Carey, intending to complete Alfred Wegener's work, drew the conclusion that the Earth was smaller before Pangea broke apart. 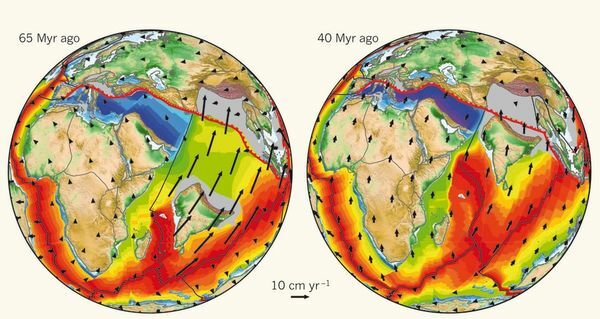 Marie Tharp and Bruce Heezen who made the map World-Ocean-Floors (top of the page) based on a huge amout of data, came to the same result, but soon there was a new theory: "Plate tectonics". Since the 70-s "Wilson cycles" were taught. This theory was based upon the assumption of a constant earth-size. Geoscientists were so exited about the important discovery of subduction, that they postulated hypothetical ancient ocean-floors of the size of the Pacific and Atlantic ocean together would have been subducted. There was consensus already, that the Atlantic didn't exist in Paleozoic, therefore the hypothetical Panthalassa would have had the size of today's Atlantic and Pacific together. The amount of subducted oceanic crust would have been half of today's earth-surface. This Panthalassic-ocean-hypothesis became the questionable basis for the assumption of a constant earth-size. Today many geoscientists who beleive in a constant earth-size are dogmatic about this because there is subduction. Many of the other scientists who are convinced that the earth is growing or has grown are dogmatic too: the deny subduction. Both make the same mistake: Both beleive (or are afraid) subduction could always compensate the dilatation of the oceanic crusts entirely, which is not possible. The two theories become compatible if both sides make a revision. The theory of plate-tectonics provides an explanation why the earth did not grow in Pleistocene. Subduction is a proven process. But subduction cannot maintain the earth-size constant when mass and/or volume increase. Some Mesozoic ocean-floors of the East-Pacific have submerged under the American plates, but there is no evidence for subducted Paleozoic ocean-floors on the Pacific side of the earth. Not even at the "old hole" (blue) does the geological map show oceanic crust older than Mesozoic. If any older oceanic crust had existed and been subducted, the oldest visible parts of it would not be in the centre of a small round area, the "old hole", but at a continental margin. 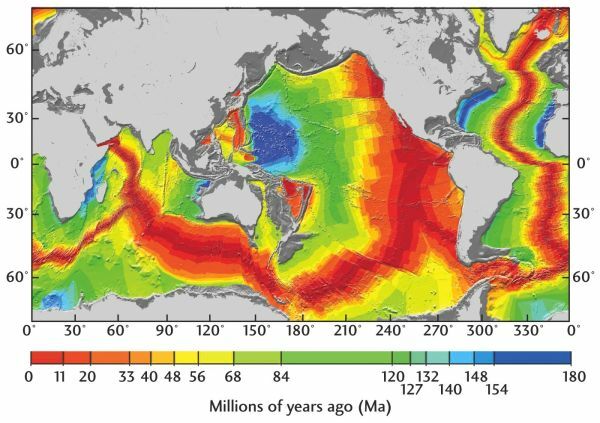 The oceanic crust on the Pacific side of the earth that submerged under America was Jurassic (blue), Cretaceous (green) and Tertiary (red). Permian ocean-floors were only found in the Mediterranean, which was a part of the Tethys. Tethys and Paleotethys were the only big deep oceans in Paleozoic. Tethys and Paleotethys should be visible in the reconstructions of a smaller Permian earth. Dogmatic expansionists who deny subduction and therefore deny the former existence of Paleotethys/Tethys, although it is veryfied by remnants of Paleozoic ocean floors, won't be able to make really good models of the smaller Permian earth. At the East-Pacific-Rise a spreading of ocean-floor-basalt only on its west side would have been be impossible. The American continent did not hinder the spreading on the east-side of the ridge. The spreading happend in the same way as at the Mid-Atlantic-Ridge: symmetrically towards west and east. Where is the Mesozoic oceanic crust east of the East-Pacific-Rise? It must have submerged under America. There is no alternative explanation. The Cretaceous oceanic crust that moved towards the West-Pacific had a symmetrical equivalent in the East-Pacific. This eastern equivalent has submerged under America. To understand that we wouldn't even need the seismological and geological research of the subduction zones, that has been successfully done. You see it on the geological maps showing the age of the oceanic crusts. Before Mesozoic there was no Pacific ocean and no Panthalassic ocean either, because the margins of the continental shelves on both sides where located together as one (yellow lines on the map on top of the page). In Paleozoic the Paleotethys and Tethys were the only deep oceans. When the African plate started moving north, the Tethys became a subduction-zone. The Mediterranean is a remnant of the Tethys. It is the only place where Permian ocean floors are found. Atlantic and Pacific are young oceans, they opened after the emerging of the moon. The earth has grown from Mesozoic until Tertiary. Astronomers know that cosmic orbs can change their size (mass and volume) during the evolution of a solar system. The amount of gases, aerosols and fluids in an atmosphere and a planet's body can change dramatically, so pressure, temperatures and processes in the interior can change too. The axiom of a constant earth size was postulated at a time when the astronomical and biological factors leading to an increase of mass were still unkown. Close to the earth core pressures were high enough for hydrogen in the metallic state. Metallic hydrogen has no normal atomic structure with electron-orbitals. It is extremely small. Release of pressure allows it to take an electron that forms an orbital, causing an increase of volume. The motion of the moon under the earth surface and its emerging caused a release of pressure in the lower earth mantle on the back-side of the moving moon. Therefore superplumes arose under the former pathway of the moon. These superplumes caused the opening of the lithosphere and the beginning of the sea-floor spreading. The more mantle-material welled up, the more release of pressure took place underneath, causing a chain-reaction resulting in an expansion of the earth-mantle. This was not the only reason, why the earth-volume increased. But the superplumes were the reason why Pangea broke apart and the continents started moving. The causes for the increase of mass were different factors, they existed during the whole development of the earth. Spreading rates were temporarily higher than subduction rates, although subduction was happening. The oldest part of the Pacific is the "old hole" (Triassic/Jurassic) and its symmetrical equivalent on the east-side that has already submerged under America long time ago. The gravitation of the newborn moon was the reason why the highest quantity of magma welled up at the east-pacific rise making the Pacific become larger than the other oceans. The gravitation of the newborn moon hovering low above one side of the earth amplified the upwelling of magma on this side of the earth. The moon had emerged from the upper earth-mantle and left a hole in the Paleozoic lithosphere: The old hole and its disappeared equivalent on the east-side. At first they were together as one single hole. The seafloor-spreading separated them. After the moon's emerging seafloor-spreading began and the Atlantic and Pacific came into existence. So the earth must have been smaller in Permian. Subduction did not swallow lithosphere in the size of more than a half of the earth surface. Certain parts of the ocean-floors submerged under certain continental plates. 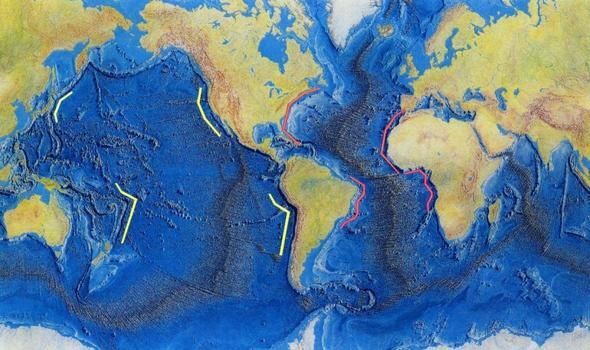 Around the Atlantic Sea subduction zones are missing. This indicates that the seafloor-spreading happens independently from subduction. 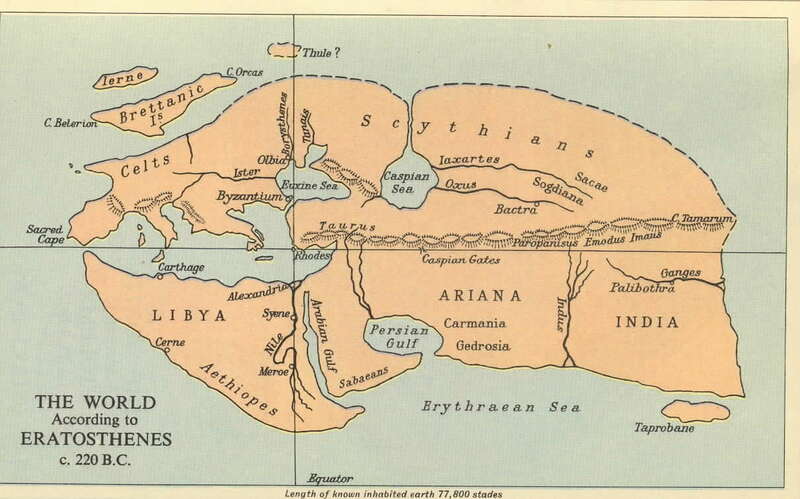 In the greek mythology Pan-Thalassa was a primordial global ocean that existed before the landmasses originated. Pan-Thalassa means the protoearth consisting of nebulas and fluids, the low density superearth that was slowly transformed into today's earth. No matter which chemo-physical processes made the volume of the earth mantle increase after Permian, and no matter if all of these processes (there are many) are already fully understood, the fact that Earth has grown in Mesozoic and Tertiary time is evident. 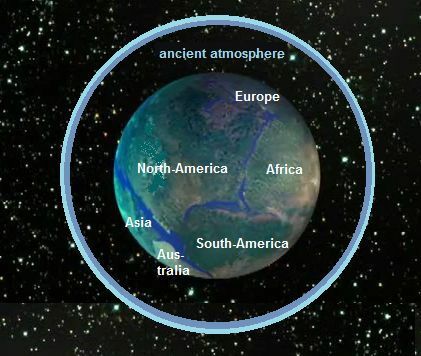 However, before Permian the earth must have been bigger than in Permian, because it contained much more water and gases in the atmosphere and lithosphere. Therefore Herndon says Earth originated from a "Jupiter-like gas giant". I'd rather call the Precambrian and Paleozoic Earth before Permian a "puffy planet"
or a "low density super-earth", because it was an earlier stage of planet formation. There have been 26791 visitors on this page!